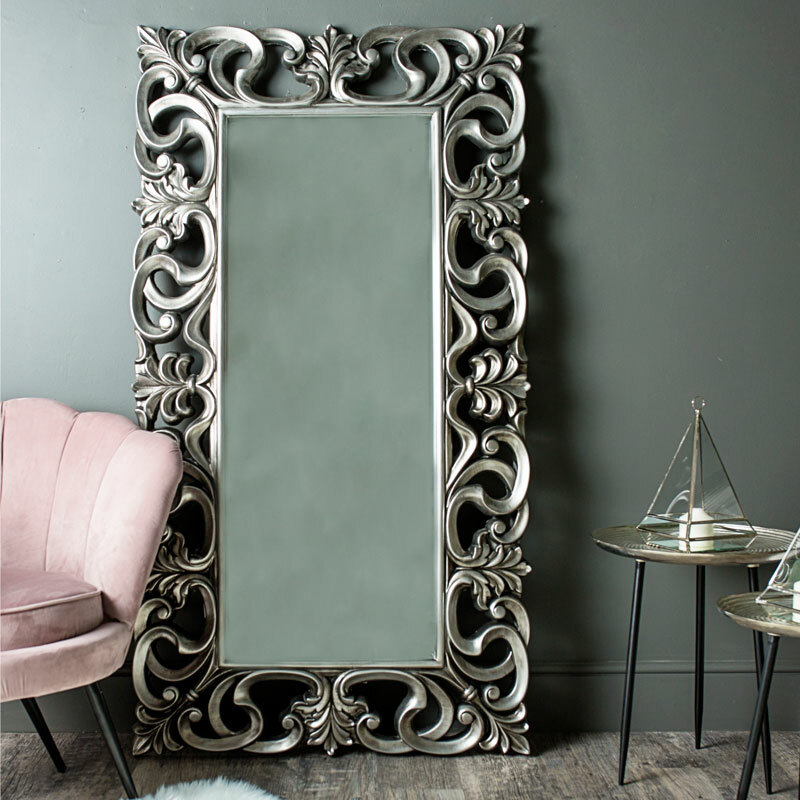 This extra large ornate silver mirror with its bevelled glass is perfect to be wall mounted or simply leaned against the wall. Add a touch of French Chic meets glamour and elegance to your bedroom, hallway or living room whether your interior is traditionally vintage or a more modern or contemporary. 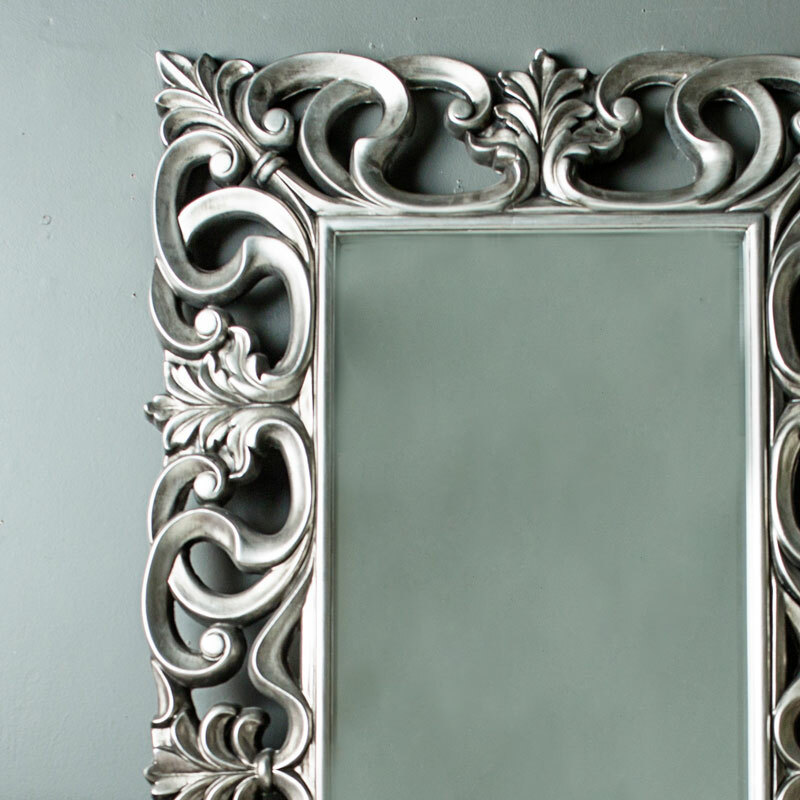 It has bold and striking ornate scroll like detailing around the mirror that not only catch eyes but will make this a main focal point in your home. The mirror is cleverly constructed with a lightweight resin frame painted in an antique silver, features bevelled glass for a luxurious appearance. The mirror is easily wall mounted with D-ring hooks on the back for hanging in landscape and portrait orientation.